SAN RAMON, Calif., October 19, 2018	(Newswire.com) - “Solastalgia” is a term that may appear more frequently as climate change increasingly impacts communities. Coined by philosopher Glenn Albrecht, the term refers to the distress and anxiety that people feel when witnessing the destruction of their home environment, such as in the case of hurricanes, fires and other natural disasters. A number of recent studies have shown that climate change can greatly impact human mental health and has some scientists predicting that with increasing temperatures and large-scale natural disasters, we may be facing a new mental health epidemic with high rates of depression, anxiety and suicide. 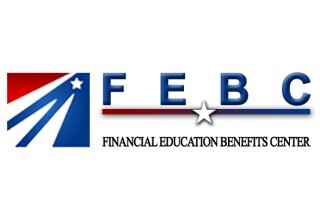 Financial Education Benefits Center (FEBC), a member benefits company that specializes in health and wellness discounts, provides members with a number of benefits that may help them cope with environmental changes and challenges. One of the studies, conducted by the Proceedings of the National Academy of Sciences, found when average monthly temperatures were hotter in areas that were already warm, there was a 0.5 percent increase in self-reported mental health issues. While this doesn’t sound like very much, if extrapolated to the current U.S. population over the period of a month, that increase would be about two million additional people with self-reported mental health issues. Past hurricanes have been shown to have had a great negative impact on mental health. Since Hurricane Maria hit Puerto Rico, officials have reported the number of suicides on the island has increased, along with calls to the health department’s emergency psychiatric hotline. A study conducted by Kaiser found that nearly one in five Texan residents who were affected by Hurricane Harvey reported mental health issues following the storm. 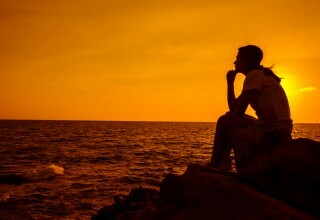 Storms aren’t the only aspect of climate change to have detrimental effects on mental health. A study conducted by a Stanford University-led team found that hot weather is linked to increases in suicide and increased “depressive language” on Twitter. The team compared historical temperatures and rates of suicide from 1968 to 2010 in the U.S. and Mexico, along with analyzing half a billion tweets. They discovered that suicide rates rose 0.7 percent in the U.S. and 2.1 percent in Mexico when the monthly average temperatures increased by one degree. Some believe the increase could be due to heat causing an increase in cortisol, a stress hormone. While these are troubling findings, they have important health implications. Having an understanding of how temperature and climate can affect mental health could potentially lead to better resources for those suffering from solastalgia. For FEBC members, there are several resources that could be beneficial in ensuring mental wellness in the wake of an ever-changing climate. FEBC offers telemedicine consultation for non-urgent medical concerns, as well as discounts to alternative medicine, which may include cognitive-behavioral therapy, meditation and mindfulness services. With these as part of their wellness toolkit, members may find they’re able to better cope with the troubling effects caused by natural disasters as well as other circumstances that impact mental health.